Despite Samsung releasing a series of smartphones with gorgeous HDR-capable screens over the past year - we're looking at you Galaxy Note 7, Galaxy S8, and Galaxy S8+ - none of them were actually supported by one of the biggest producers and distributors of HDR content, Netflix. As discovered by SamMobile, however, that appears to be changing. That's because Netflix's support page now lists the Galaxy Note 8 as one of the devices capable of displaying HDR content via its video streaming app. To be more specific, the Note 8 supports HDR10 and has a screen that hits peak brightness at 1,200 nits. 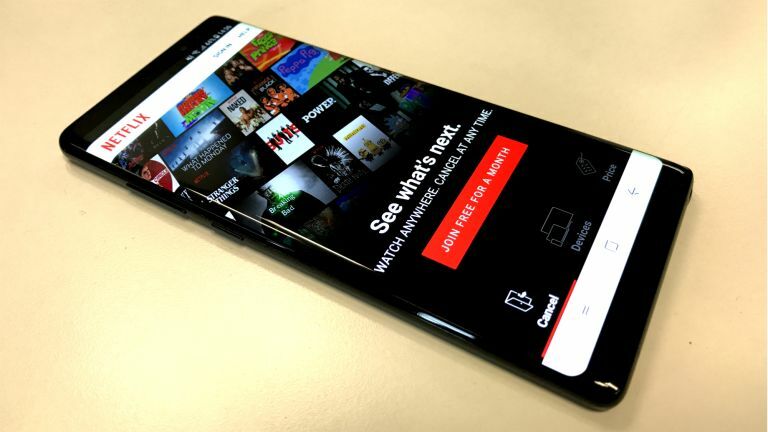 Now counting the Samsung Galaxy Note 8 as well that means that four smartphones currently support Netflix HDR video playback, with the recently reviewed LG V30, Sony Xperia XZ1 and XZ Premium making up the other members of the elite club. Here's hoping that the Note 8's upgrade is shortly followed by the Galaxy S8 and S8+, as well as the Galaxy Tab S3 too.